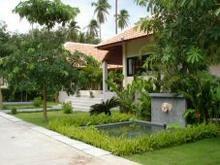 View and book from over 1 villa from 253 USD per night. Book with peace of mind with our Price Guarantee and local customer support. Located at the south of Koh Samui, the villa is built in the mountain, 200 meter above the sea level. with real fantastic sea view to the National Marine Park.